Toning. Does it Help or Hurt? Toning. Does it Help or Hurt the Value of a Coin? One of the most often discussed issues when evaluating a rare coin is the effect that toning has on its grade, and ultimately its value. While there is no easy answer to this question, there are some important things to consider. Numismatic Expert Michael Sherman discusses how toning and eye appeal are linked to grades and how to detect artificial toning. This coin ranks among the very finest Small Eagles. Extremely rare in any grade over AU50, this one has remarkable eye appeal. A "young" 19th century America experienced the sensational California Gold Rush, a Civil War that pitted brother against brother, and the minting of its first $20 coin, the Type-I Double Eagle, struck from 1849 to 1866. California gold inspired the minting of the large pieces, as desire grew in the day for a more compact form of payment. Our big gold beauties were born! Does toning matter to you? The 1909 $2 1/2 Indian is the second year of the only 15 total years this coin was minted. Start your $2 1/2 Indian Collection today. 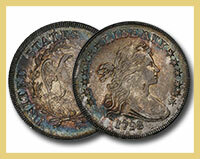 Carefully formed over many years by D. Brent Pogue with the support of his family in Dallas, the cabinet emphasizes United States coins of the early years, but includes many other treasures as well. You may be shocked at the estimated value of this collection. 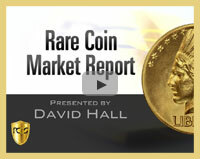 Getting your coins graded by PCGS is easy. There are two ways to do this, which we cover in a one-minute guide. 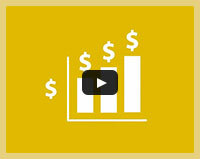 Maximize the value, liquidity, and security of your coins today! 15,032 coin prices higher in the past week. How does this compare to the overall market in the past year and what is the forecast moving forward? 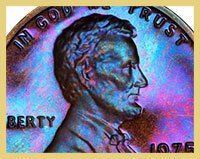 WingedLiberty’s "Fireball Rainbow" Lincoln Proofs is a can’t-miss collection of toned coins in the PCGS Set Registry. From 1909 to present, all sorts of vibrant tones surface.